Caffeine has multiple performance enhancing effects. It has been shown to reduce reaction time  and increase: anaerobic power , sprint speed  and endurance. 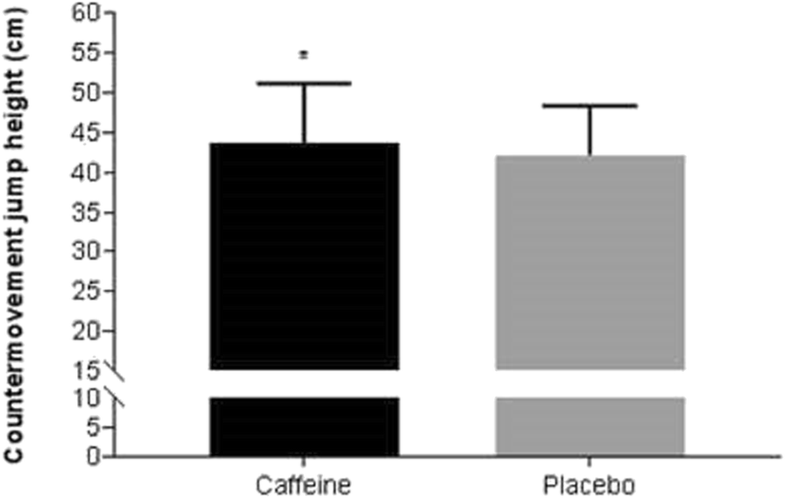 Rugby is a sport that may benefit from the multiple ergogenic effects of caffeine. A rugby match is characterised by high-intensity running interspersed with bouts of low activity, multiple changes of direction and technical skills . Strength and power are also key requirements especially when players are engaged in tackles, scrums, rucks and mauls . Rugby players cover between 4000 and 7000 m during a typical match, so considerable endurance is also needed to ensure performance is maintained during game defining moments [13–15]. Traditionally, caffeine has been provided in a capsule or beverage approximately one hour prior to exercise [3, 18–20]. However, chewing gum offers a novel alternative vehicle for the delivery of caffeine. The absorption of caffeine from chewing gum is more rapid than from capsules (5–10 min versus 45–60 min) . This is because caffeine absorption from chewing gum initially occurs through the buccal mucosa , an accepted route for accelerating drug absorption . Because drug action is limited by absorption rate, caffeine gum would be expected to have a faster onset of action than capsules . The use of caffeine gum may therefore have practical applications to rugby, where limited time for nutritional interventions exist (e.g., the end of the warm-up, at half-time, or for substitutes required to enter competition with limited notice). This study has several limitations. Plasma caffeine was not measured in the participants however, plasma caffeine concentration has been shown to rise rapidly in response to caffeinated gum. Each piece of gum contained 100 mg of caffeine, so participants were provided with an absolute dose (200 mg) rather than a dose adjusted to bodyweight. This resulted in participants receiving a caffeine dose between 2.1 to 2.7 mg·kg− 1 of bodyweight. Moreover, there is individual variation in the extent of caffeine that is released from gum . The range in relative dose and possible variable release of the caffeine from the gum may have contributed to the inter-individual variation in response, but more accurately models the ‘real world’ use of caffeine gum by athletes. It is possible that larger effects may have been observed if a higher dose of caffeine had been administered, however, the aim was to investigate a low dose to reduce the possibility of adverse effects and to follow the manufacturer’s recommendation for use. Low doses of caffeine have shown less consistent ergogenic effects than higher doses [47–49] . For example, Desbrow et al. 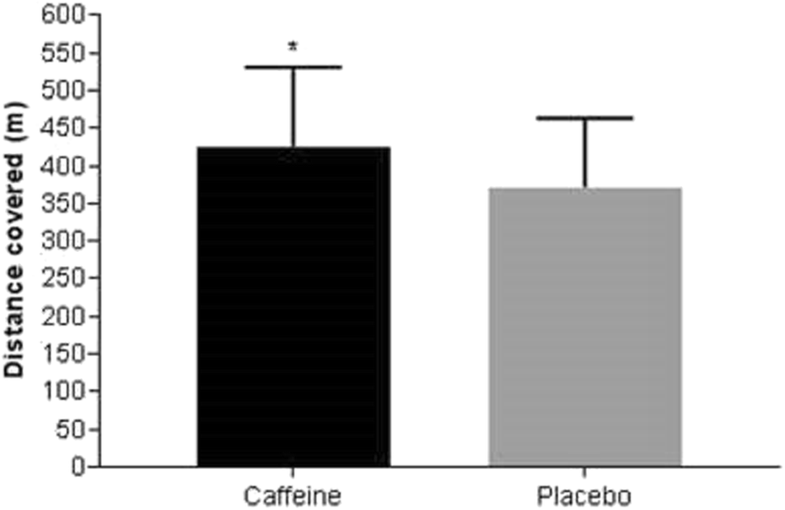 found no effect of 1.5 mg·kg− 1 and 3 mg·kg− 1 of caffeine on cycle time trial performance. Jenkins et al. reported that 2 and 3 mg·kg− 1 of caffeine improved cycling performance, but 1 mg·kg− 1 had no effect. Another limitation of this study was that all four performance tests were conducted on the same day with 3–5 min recovery periods in between each test. It is unlikely that the CMJ test and the Illinois agility test performed at the start would have caused fatigue and negatively affected the repeated sprint and Yo-Yo-IR2 tests. 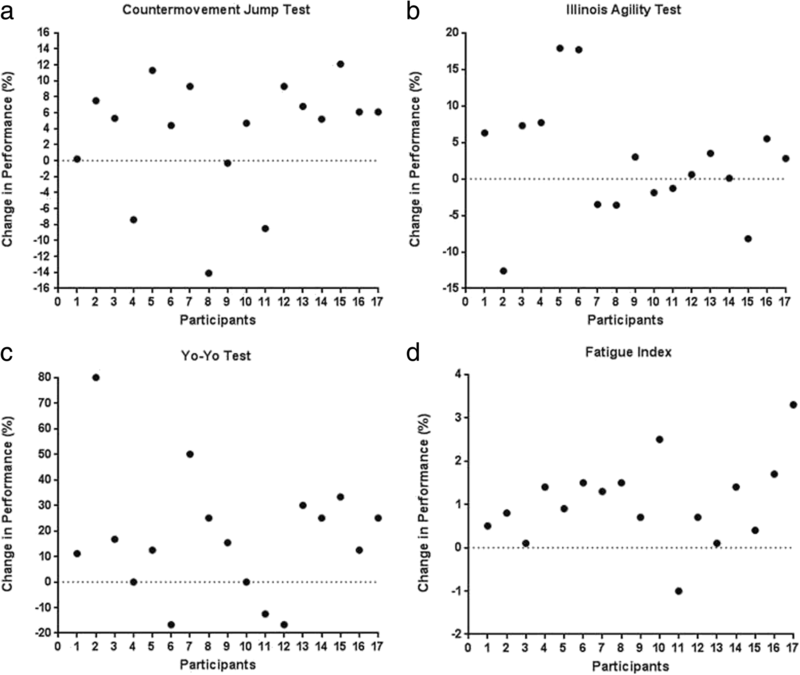 However, the repeated sprint test may have affected performance on the subsequent Yo-Yo test. 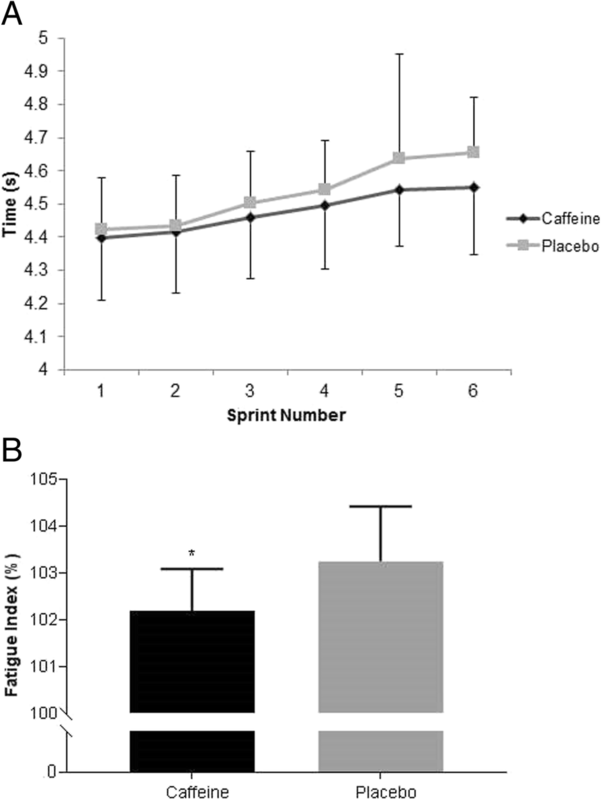 Nevertheless, the aim was to investigate the effects of caffeine on endurance performance in a fatigued state to simulate the demands of competition.